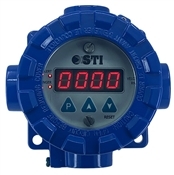 STI's Digital Panel Meters have a large, easy to read LED and LCD displays. 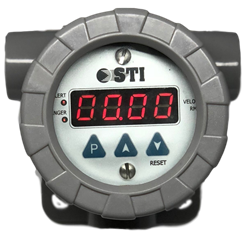 The 9.4 mm digits exhibit uniform intensity over the entire 0-5 VDC or 4-20 mA operating range. Connections to the signal source are made via a reliable, two-position, screw-type terminal block. Each display may be custom calibrated for the desired displayed range. The displays can be used with STI's Transmitters and Monitors or can be purchased in an Explosion Proof Housing for local display.